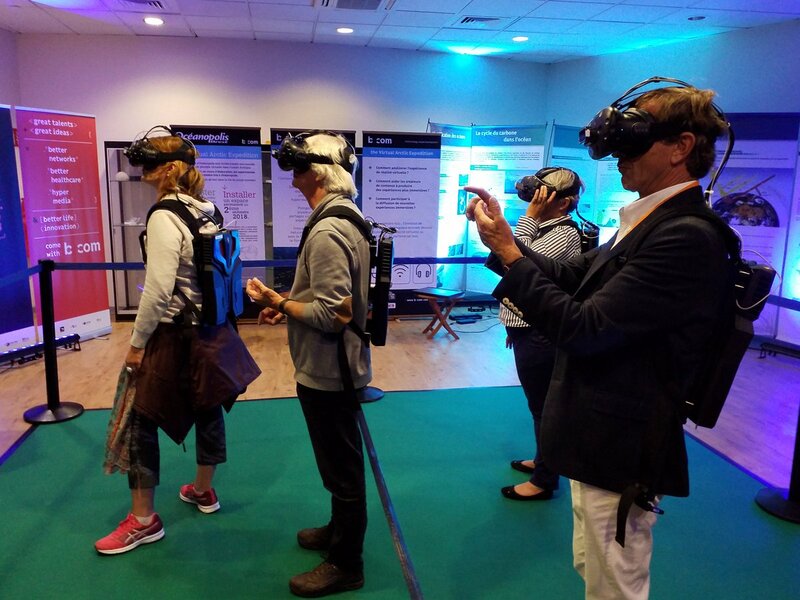 The VR tour is a specificity of ISMAR 2017, it proposes on October 9th a visit of four high-end sites in the domain of research and innovation in Virtual Reality, in Rennes, located 100km from Nantes. The VR Tour has been organized by Valérie Gouranton (Valérie Gouranton) and Ronan Gaugne (Ronan Gaugne). The VR Tour only has limited seats, seats will be allocated on a first come basis from the registration form. We expect the bus to leave Nantes at 8:30 on Oct. 9th and come back in the end of the afternoon. Technicolor is developing today’s solutions for tomorrow’s interactive media environments. Through our research laboratories, we offer professionals and end-users the solutions they need to extend their immersive experiences. We invest our expertise in computer graphics, computer vision and video processing applied to virtual reality, augmented reality and light-field domains. During this tour you will be able to visit our new VR room and to see the following demos: Volumetric Video Format: a new video-based transmission format for VR; Social & Embodiment VR media: a VR media made of 360 movies mixed with real-time objects for several users; Mixed Reality Interactive TV Mosaic: a multi-device immersive and personalized TV experience; Immersive Light Field Video Experience: a Light Field capture & rendering pipeline which allows high flexibility to view scenes with dynamic parallax; Color Management for VR Production: a technology to produce VR experiences with a high level of color precision and quality across different VR devices; Immersive Communication Technology: an innovative way to interact with others in a natural manner, through an extension of their set-top-box and a consumer sensor device. Through its innovations, the b<>com Institute of Research and Technology (IRT), founded in late 2012, is contributing to the European digital transformation. Its 230 researchers are developing tools, products, and services that make everyday life easier. They focus on two fields of research: the hypermedia (ultra high-definition images, 3D sound, smart content, virtual and augmented reality, etc.) and more agile ultra-high-speed networks (cloud, cyber-security, ultra-high-speed mobile, network resiliency, Internet of Things, etc.). During the visit of b<>com, you will visit the Immersive Interactions lab which will present various experiences in VR. The Immersive Interactions lab focuses on natural interaction in immersive environments. It incorporates technologies that enhance human performance. 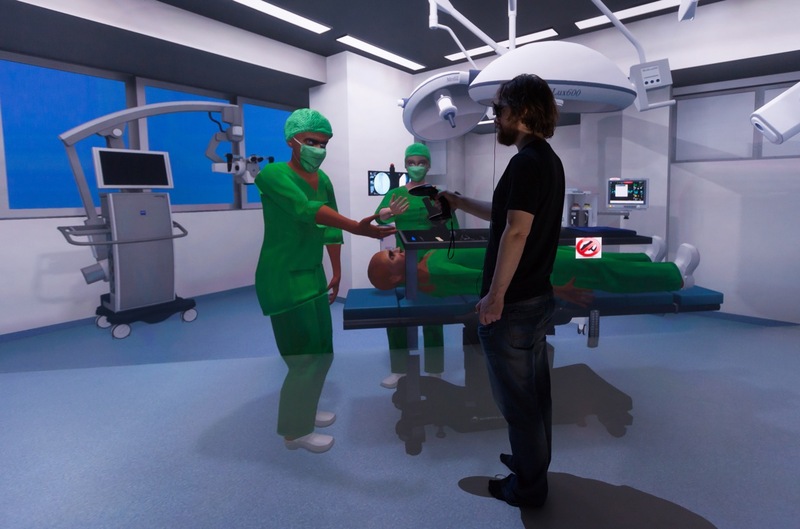 In particular, it studies collaboration between heterogeneous immersive systems, ranging from augmented reality glasses to advanced gesture-based interfaces to industrial virtual reality equipment. The user is central to the way the laboratory thinks and works, from defining usage cases to prototyping. 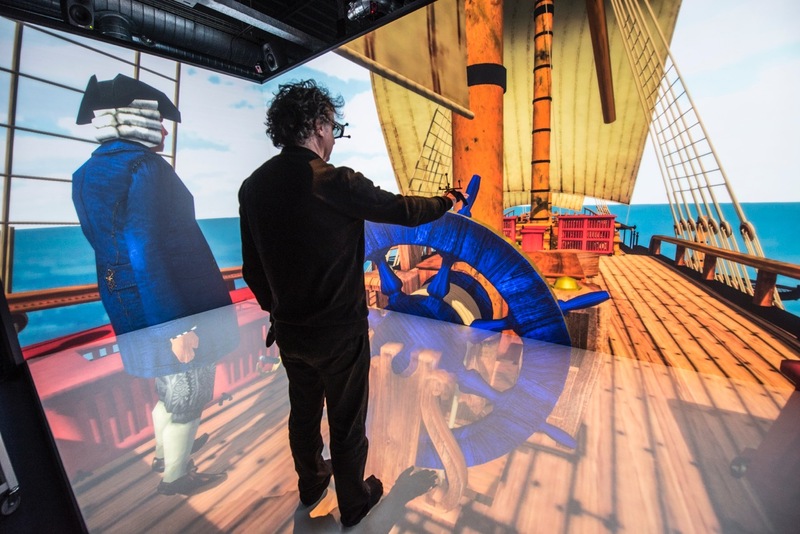 Located in Inria/IRISA research center, on the Science University campus of Rennes, the Immersia platform is dedicated to research in immersive interaction in VR. 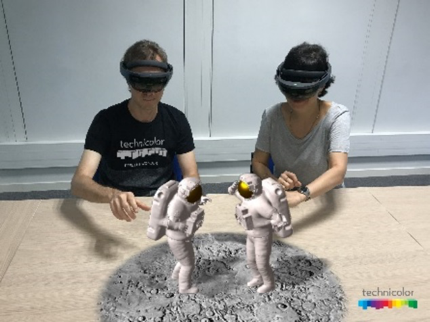 During the visit, you will try an immersive experience in Immersia and you will have different demonstrations of interaction modalities proposed by the Inria/IRISA Hybrid research team. "Wow I have 6 fingers!" 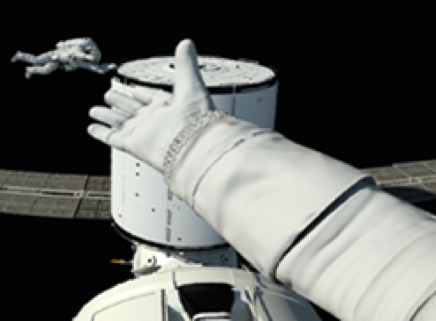 Would you accept Structural Changes of Your Hand in VR? 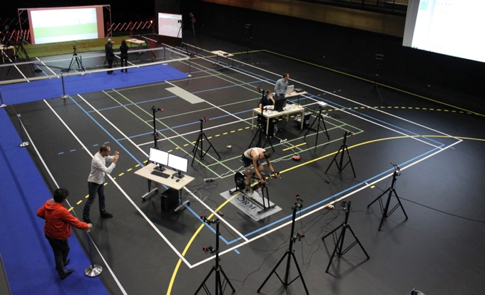 Located in “Ecole Normale Supérieure de Rennes”, Immermove is a unique experimental platform for studying large-scale human movements. 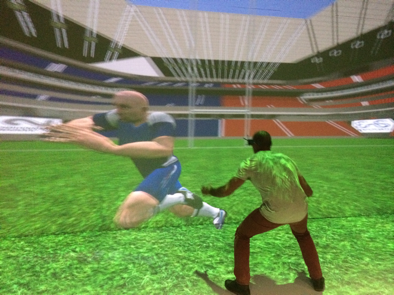 Whether it is sport situations, individual or collective, up to crowd simulation, the platform is coupled with a virtual reality environment. This platform of virtual reality allows us to immerse ourselves in the environment that we seek to study. 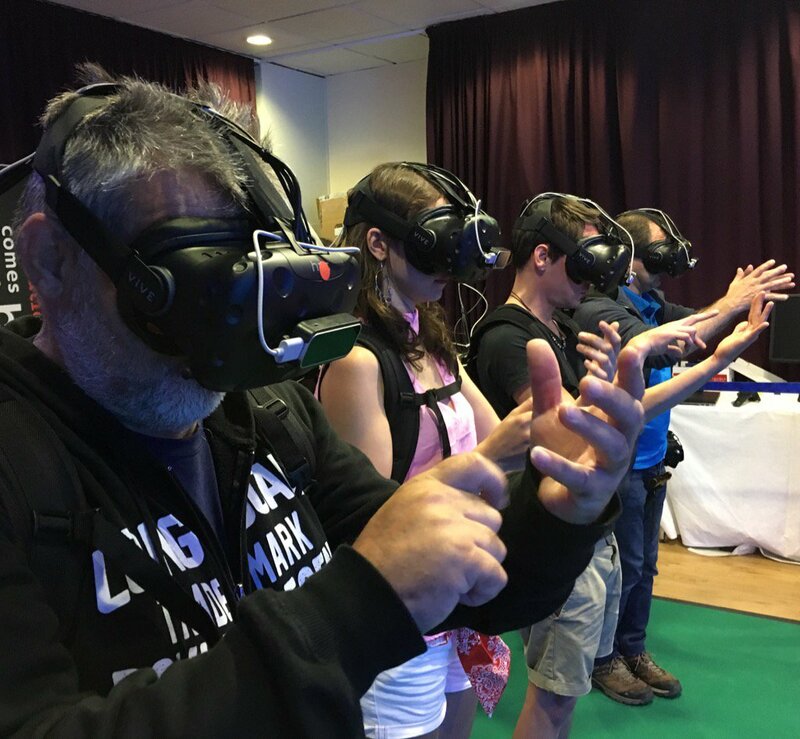 During the visit, you will try an immersive experience in Immermove and you will have different demonstrations of the research work of the Inria/IRISA/M2S Mimetic research team.